Our wide selection of pure all natural organic essentials oils that can be used for a wide variety of uses such as healing therapies as well as for perfumes and aromatherapy. Formulated numbing relief for tender inner mouth sores. Formulated to naturally soothe abdominal tension, discomfort and occasional constipation. Effective and soothing elixir is blended with 3 types of Eucalyptus oils, Propolis and Balsam Fir to help support respiratory and immune health. Good Samaritan is an indispensable formula for a healthy home. 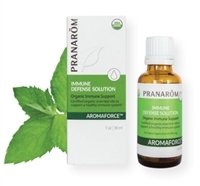 Use to defend against germs and safeguard the respiratory system. This formula is designed to tone and strengthen the veins and promote healthy venous circulation. A blend that is very versatile for preventative and immune health. Inhale or diffuse to nourish the immune system and open the lungs. This formula helps to heal and soothe itching, burning and red irritated feet..
Calms occasional discomfort of cramping during menstruation. Provides support for all general cramping and spasms.